Thanksgiving dinner was a great place to meet some Expats that we had not met before. Karen and Michael are two of those folks that were seated across from us during the dinner and we were able to speak for some time. They are nearing the end of their visit and we were able to get together on Friday for a nice lunch at Copacabana, one of my favorites for Vichy soup. It was a fun lunch and afterword we walked back to their hotel and Michael gave me a present of Afterburner spray for the skin. 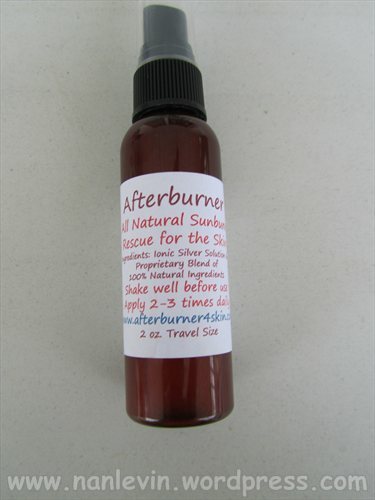 You can find more information on this product at afterburner4skin.com This product is used for sunburn relief, scratches and minor irritations on the skin. I have had a rash under my wedding band for the past week or so, I think it is a combination of peeling mangos and using the harsh cleaning solutions. It is very irritated and actually wakes me up in the night because it itches, scratching has made it more inflamed and irritated. I started using Michael’s spray several times a day and right before bed. The irritation is much less and the redness has almost disappeared. 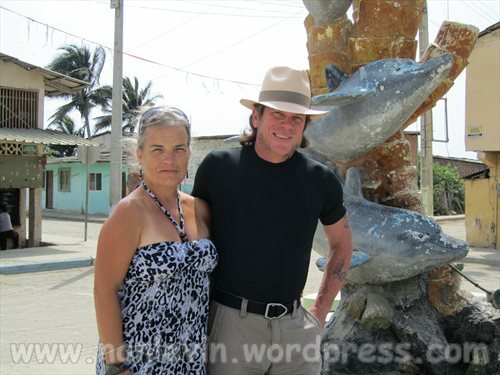 These folks are very outgoing and personable and will have a great time on the next leg of their adventure in Cotacachi and the areas around there. Enjoy! 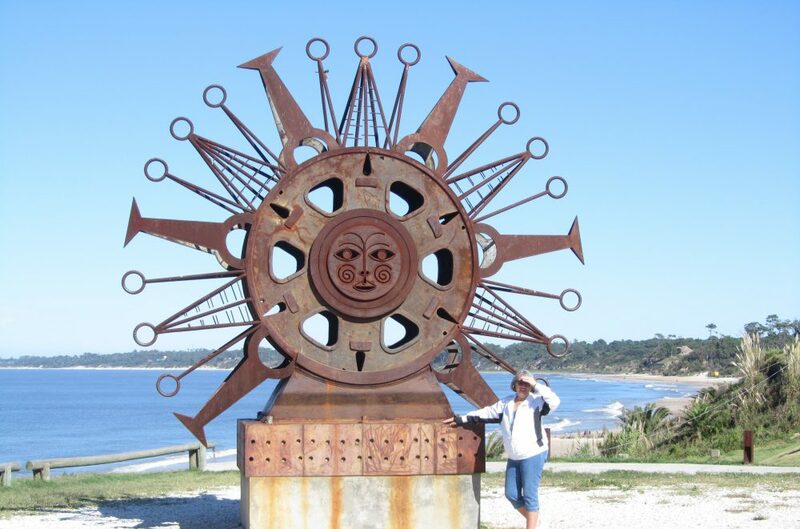 This entry was posted in Ecuador, San Jacinto and tagged Beach living, Ecuador, Expats, San Clemente, South American by Nancy Levin. Bookmark the permalink.